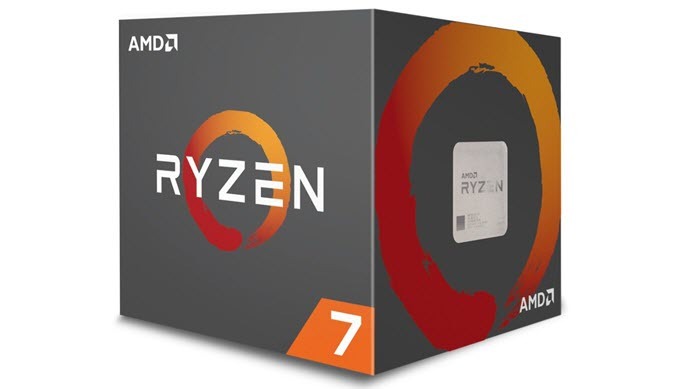 AMD has finally released their 2nd generation Ryzen desktop processors, codenamed as Pinnacle Ridge and are built on the 12nm manufacturing process having Zen+ architecture. These include Ryzen 7 and Ryzen 5 processors having model number Ryzen 7 2700X, Ryzen 7 2700, Ryzen 5 2600X and Ryzen 5 2600. Here Ryzen 7 2700X and Ryzen 7 2700 are octa-core processors (8-cores) while Ryzen 5 2600X and Ryzen 5 2600 are hexa-core processors with 6-cores. These new 2nd Generation Ryzen processors offers significant performance increase over their first-generation counterparts. 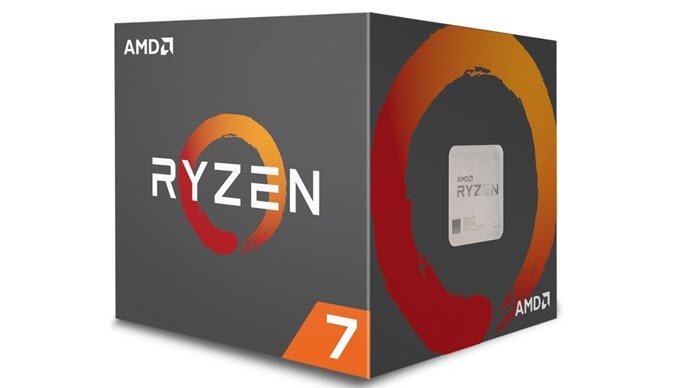 These new second generation Ryzen CPUs come with higher clock speeds and supports the new AMD X470 Chipset and AMD B450 Chipset which are new AMD Chipset for AM4 Socket Processors. 2nd Gen. Ryzen processors will also work on the AMD 300 series Socket AM4 motherboards but with a BIOS or Firmware update. Besides better performance, all these 2nd generation Ryzen processors come with their own cooler (fan & heatsink) which was selectively given in the case of AMD’s first generation Ryzen processors. 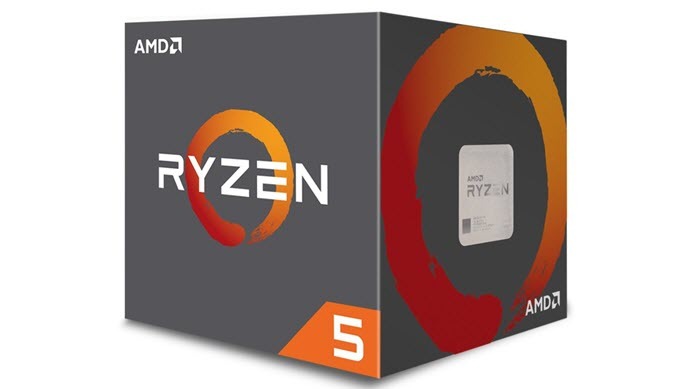 These new set of Ryzen processors are great for gaming, video editing and for building a powerful workstation computer on budget. Here in this post I am going to list down the specifications, comparison and major details of these 2nd generation Ryzen processors. Note: All these are AM4 Socket processors and requires Socket AM4 motherboard, and a discrete graphics card because they do not come with integrated graphics. If you want integrated graphics then you have to look for AMD Ryzen APUs. 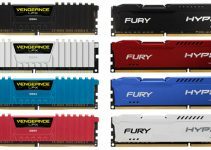 Also, all of them supports XFR 2.0 (Extended Frequency Range), DDR4-2933 memory and can be overclocked to higher frequencies as they are unlocked processors. Here are the second-generation AMD Ryzen Processors with their specifications. AMD Ryzen 7 2700X is currently the flagship of the second generation Ryzen processors. There is no Ryzen 7 2800X right now because AMD is holding it back for something bigger. Ryzen 7 2700X is an octa-core processor that has base / boost frequencies of 3.7 / 4.3 GHz and comes with whopping 20MB cache. It supports XFR 2.0 (Extended Frequency Range) which means it can automatically overclock itself to higher frequencies when adequate cooling is there. The main competitor of this processor is Intel Core i7-8700K which is a hexa-core processor supporting twelve threads. AMD Ryzen 7 2700X will replace Ryzen 7 1800X and Ryzen 7 1700X that comes with lower base and boost clock speeds. The only thing that goes against Ryzen 7 2700X is its slightly TDP of 105W compared to 95W in the other two. But Ryzen 7 2700X comes with Wraith Prism Cooler which is the top of line AMD Ryzen CPU cooler and it supports RGB LED. It is a great affordable processor for video editing & rendering, high-end gaming and work that involves a lot of CPU power or CPU cores. Below you can see the 1440p gaming performance of AMD Ryzen 7 2700X compared to Intel Core i7-8700K. From the above gaming benchmarks we can see that both these high-end processors performs equally good in games. AMD Ryzen 7 2700 is the power efficient variant of the AMD Ryzen 7 2700X processor mentioned above. It is also an octa core processor that supports 16 threads and comes with 20MB cache. It has lower base / boost frequencies of 3.2 / 4.1 GHz and has lower TDP of 65 Watts only. It is faster and more power efficient than the older Ryzen 7 1700X that has higher TDP of 95W. 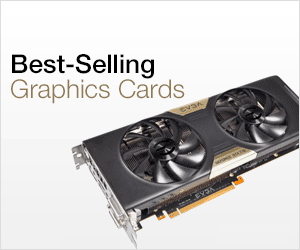 Its main competitor is Intel Core-i7 8700 which is a 6-core 12-thread processor. It comes with Wraith Spire Cooler with RGB LED. So, if you are looking for something cheaper, power efficient yet powerful Ryzen processor then you should definitely go for this. 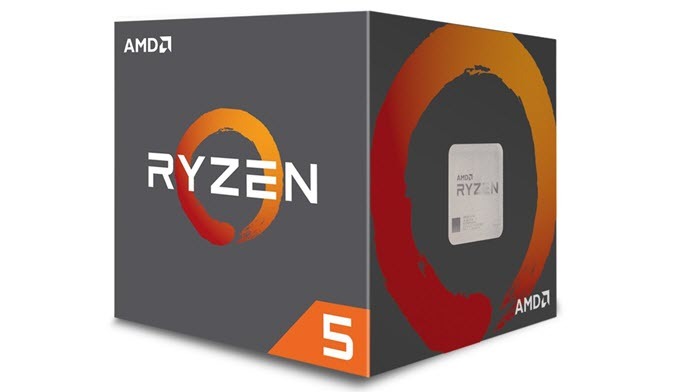 AMD Ryzen 5 2600X is the top-end Ryzen 5 series processor. This is a hexa-core processor that comes with 19MB cache. It has got the same base frequency of 3.6 GHz as in Ryzen 5 1600X but has got higher turbo frequency of 4.2 GHz compared to the 4 GHz in Ryzen 5 1600X. Its main competitor is Core i5-8600K which is a six core, six threads processor. Ryzen 5 2600X comes with Wraith Spire CPU Cooler which was not included in the older Ryzen 5 1600X. It has similar TDP of 95W and is one of the best budget processor for gaming and building a budget workstation. AMD Ryzen 5 2600 is a slightly slower and power efficient version of the above mentioned AMD Ryzen 5 2600X. It has got base / boost frequency of 3.4 / 3.9 GHz and comes with 19MB cache. It is a six-core processor but can execute or perform 12 threads at once. The processor has relatively lower power consumption of 65W and it comes with Wraith Stealth cooler. It is significantly faster than its older brother which is Ryzen 5 1600 and its main competitor is Intel Core i5-8600 which is a hexa-core processor. 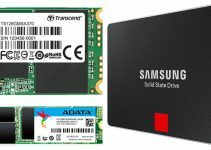 The processor is very much affordable and can be used to build a mid-range gaming PC or a work PC. 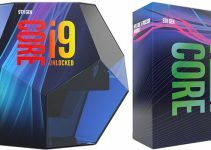 AMD and Intel are really competing each other neck to neck, because first Intel has released their new Core i3 and Core i5 series 8th generation coffee lake processors and just after few days AMD has got it all right by releasing the second generation of their highly popular and successful Ryzen series processors. Now time will tell who is going to win this processor war because both of them are offering some amazing products. If you have something to say or want to ask something then please leave a comment below.